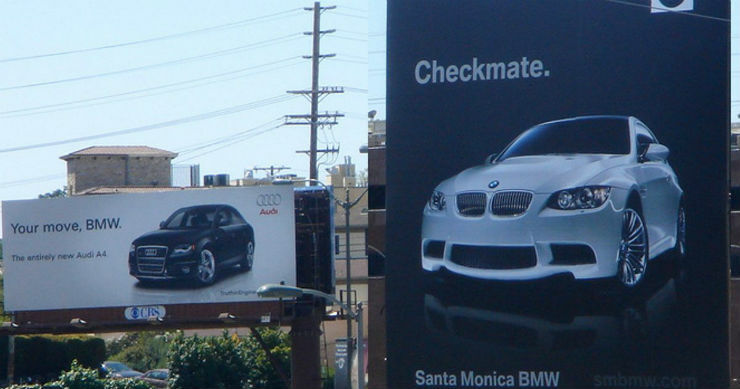 Marketing is an important tool in today’s day and age. With the competition becoming stiffer than before, companies are trying to come out with innovative ways to market their products. In a bid to do just that, Tata came up with an innovative campaign against the newly launched Jeep Compass. Now the Hexa does come with a 4×4 variant and Tata decided to show that the Hexa is more capable than the Compass on many counts. Is this the first time a company has taken a dig at another one? Not at all. In the international market, such digs are common. 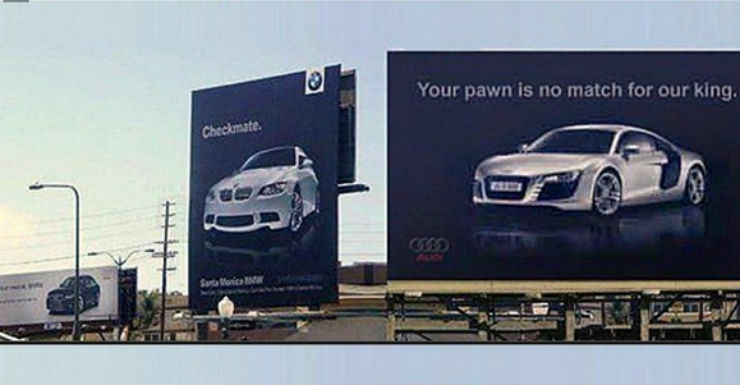 Here is what Audi and BMW had to say to each other in a series of hoardings that were displayed in the US. In India though, this is a rare occurrence with not many companies indulging in such stuff. Since the topic has been raised, how exactly does the Hexa compare with the Compass? For starters, the Hexa is massive. Unlike the Compass which is compact and seats only 5, the Hexa has three rows of seating which can swallow up more people. If you are talking about intimidating other road users, the Hexa with its massive size and higher seating position will certainly give you a towering view of the road ahead. The Compass on the other hand will be the one getting more attention though, due to its fresh looks and also because it is the talk of the town. In terms of drive, the Compass diesel is a 2.0 liter unit making 170 Bhp and 350 Nm, while the Hexa uses a 2.2 liter unit making 154 Bhp and 400 Nm. The Compass is faster than the Hexa and drives better. The Hexa is more comfortable with the suspension setup done in such a way that it boosts comfort. The Compass on the other hand is set up keeping handling in mind and is the better handler of the two. Both of them come with 4×4 options. The Hexa has a 4×4 manual version. It also has driving modes (Auto, Comfort, Rough Road and Dynamic) to choose from. The Compass on the other hand has off-roading modes to choose from, like snow, auto, mud and sand. While the Hexa and Compass both have touch screen systems, the one on the Compass has Apple Car play and Android Auto while the one on the Hexa has Tata’s applications along with a 10 speaker JBL system. In terms of equipment, the Hexa just nudges ahead of the Compass. There are a few pluses and minuses. 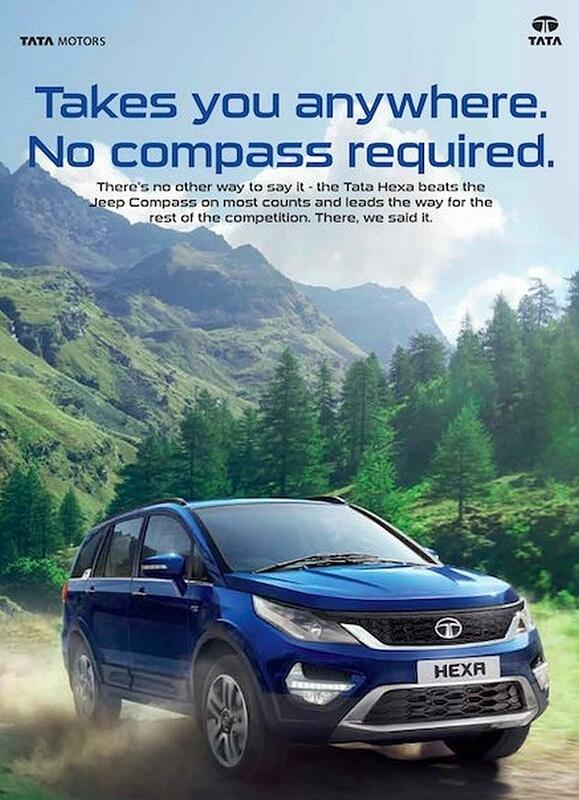 The Hexa has cruise control which the Compass doesn’t. The Hexa also has auto wipers, auto headlamps, both of which the Compass doesn’t. It is offered with hill descent control, something the Compass doesn’t have. The main USP of the Hexa over the Compass has to be the additional row of seating. If that is something you need, then it has to be the Hexa for you. In case you want something compact, the Compass is the best bet. 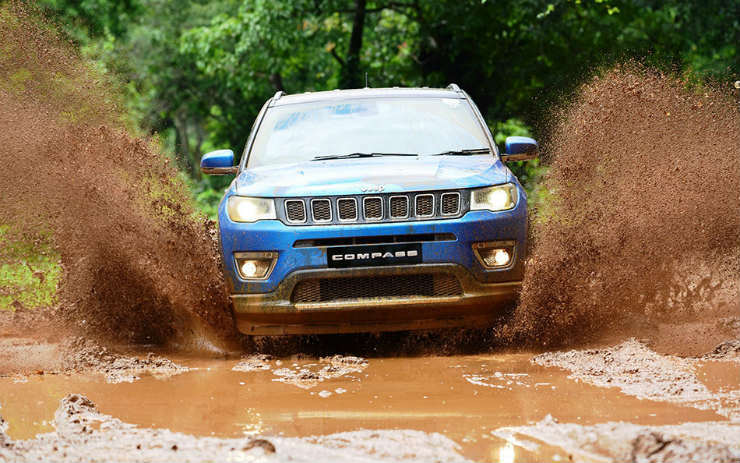 A few things that are getting people to think against the Compass is the lack of space compared to the larger vehicles, lack of a few key features at that price point and the uncertain aftersales setup for Jeep in India.